Western Washington University’s Office of Sustainability is committed to renewable energy and waste reduction, incorporating sustainability into many areas of campus operations and academics. Their Sustainable Office Certification program rewards offices on campus that have taken the extra efforts to operate sustainably — daily practices that reduce energy and materials consumption, impacts and waste. And now, after going through the certification process they are rewarded with a RE Vision Division framed certificate. “Prior to our partnership with The RE Store’s RE Vision Division we were purchasing mass-market frames, and while they looked nice, it wasn’t ‘walking the talk’ as well as we would like. We love that we can have something made with custom materials and created by a local artisan” says Campus Conservation & Sustainable Transportation Program Manager, Carol Berry. It has been a great partnership for RE Vision Division as well. 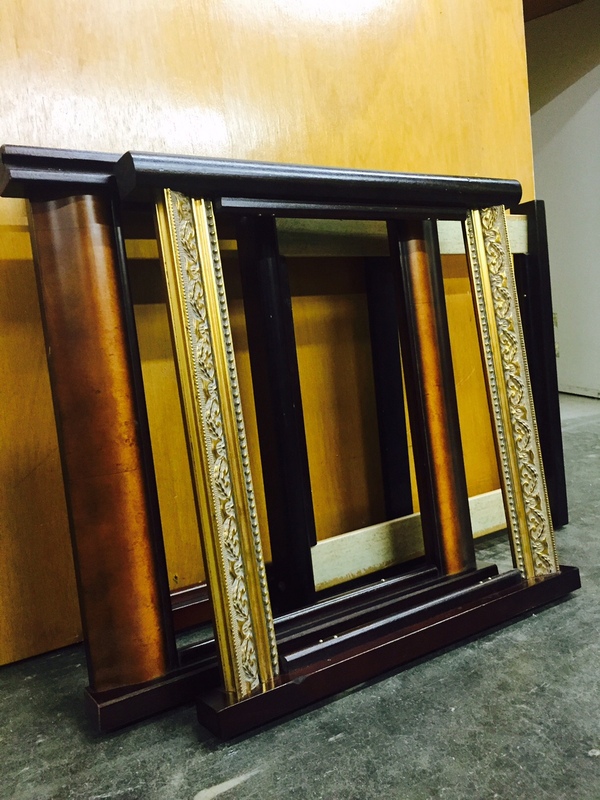 Projects like frames are a perfect use for furniture remnants and trim shorts, allowing us to save these things more and more from the landfill. 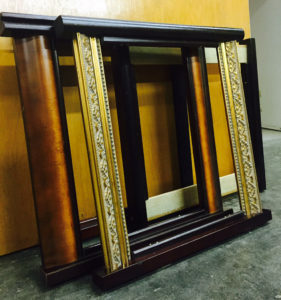 Using a miterless frame detail (think window or door frames, examples left) allows for a quicker production, while using contrasting yet complimenting wood and stain combinations allows for unique and individualized frames. Eberhard Eichner, the RE Vision Division Designer/Builder who started this project, found this style of frame symbolic for the awards, since they are recognizing achievements of environmental responsibility — i.e. opening doors to new ways and looking out windows to set our sights on. We are so appreciative of partners like the Office of Sustainability for their role in the community as well as helping us expand and perform the core mission of diverting, inspiring and educating through the RE Vision Division program. Thanks so much to Carol Berry, the Office of Sustainability and all the offices participating in the program thus far!